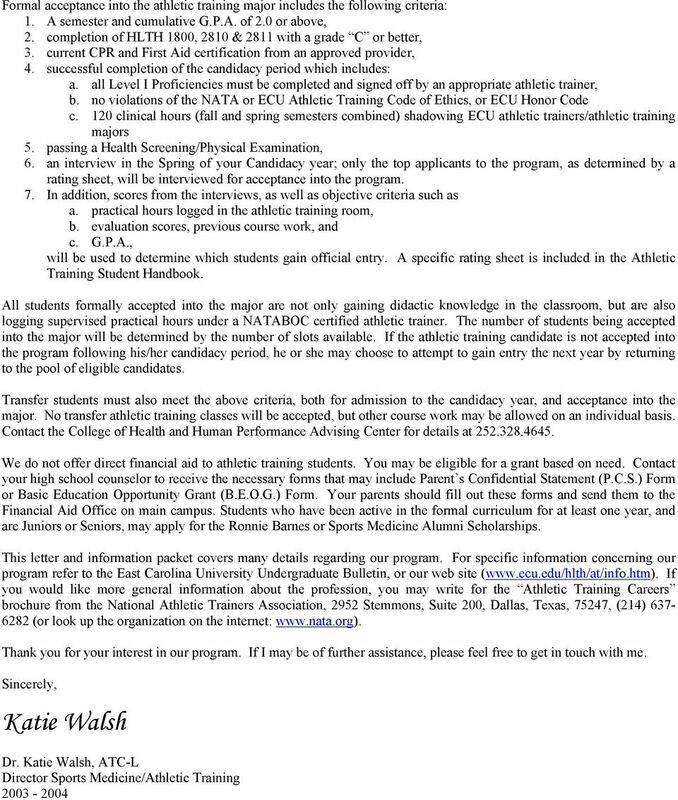 Download "Dear Prospective Athletic Training Student:"
4 EAST CAROLINA UNIVERSITY ATHLETIC TRAINING EDUCATION PROGRAM TECHNICAL STANDARDS FOR ADMISSION The Athletic Training Educational Program at East Carolina University is a rigorous and intense program that places specific requirements and demands on the students enrolled in the program. 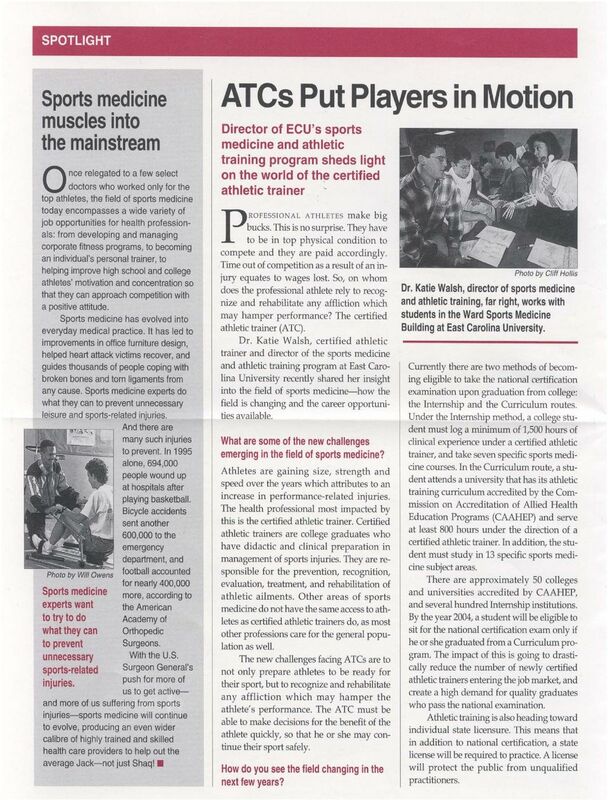 An objective of this program is to prepare graduates to enter a variety of employment settings and to render care to a wide spectrum of individuals engaged in physical activity. 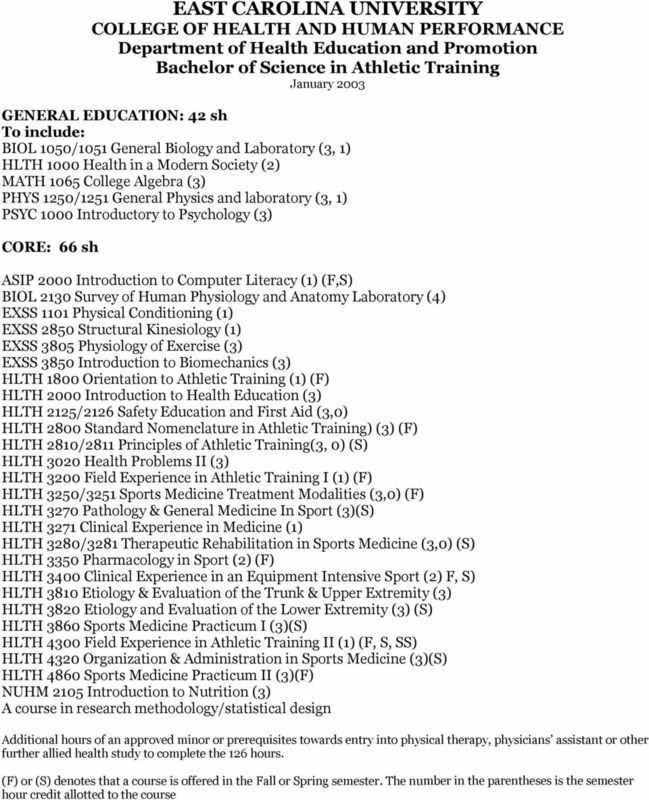 The technical standards set forth by the Athletic Training Educational Program establish the essential qualities considered necessary for students admitted to this program to achieve the knowledge, skills, and competencies of an entry-level athletic trainer, as well as meet the expectations of the program's accrediting agency (Commission on Accreditation of Allied Health Education Programs [CAAHEP]). 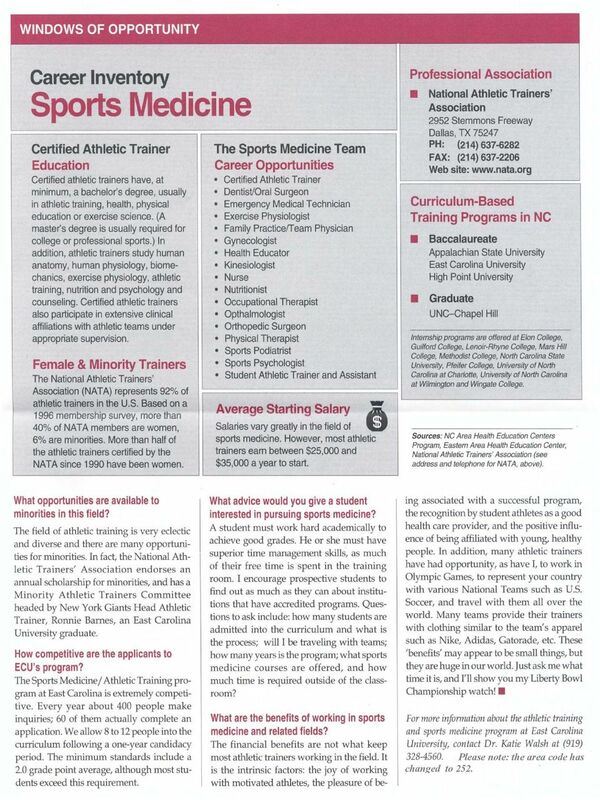 All students admitted to the Athletic Training Educational Program must meet the following abilities and expectations. 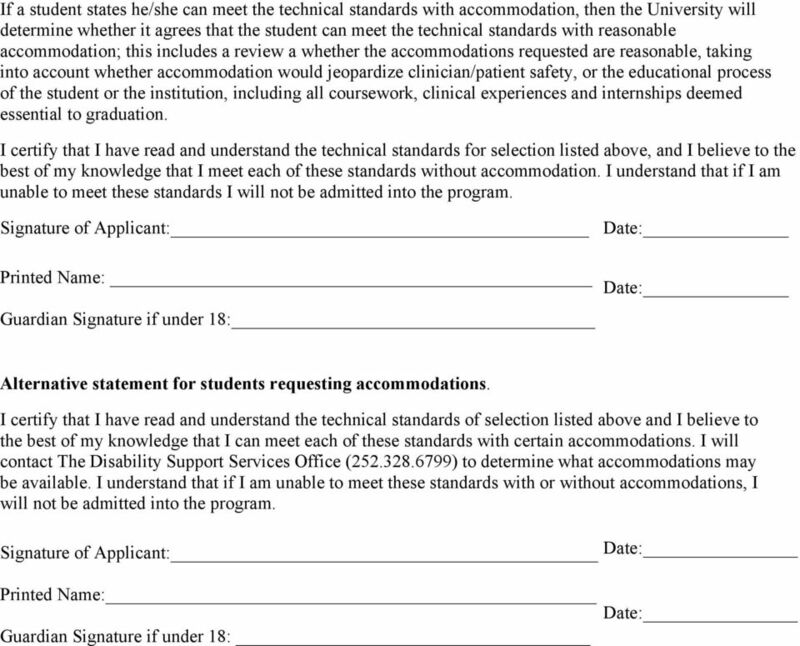 In the event a student is unable to fulfill these technical standards, with or without reasonable accommodation, the student will not be admitted into the program. Compliance with the program's technical standards does not guarantee a student's eligibility for the NATABOC certification exam. 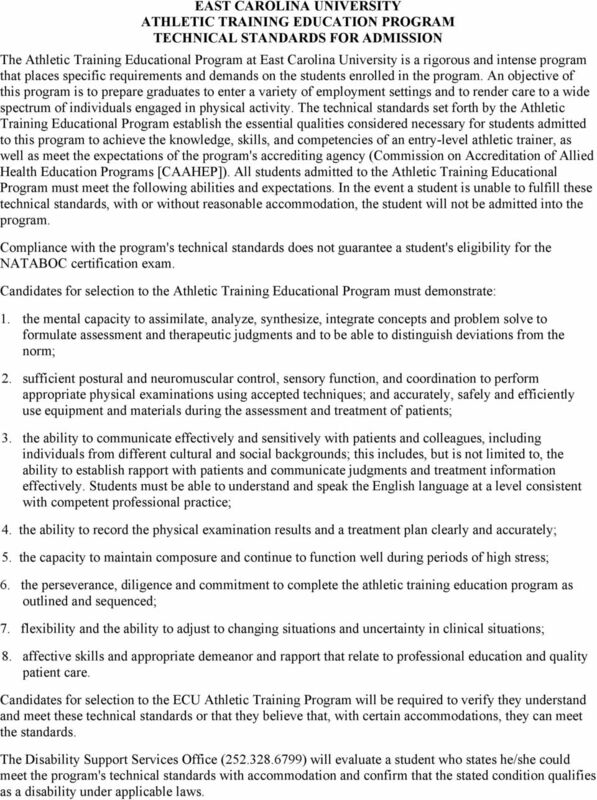 Candidates for selection to the Athletic Training Educational Program must demonstrate: 1. the mental capacity to assimilate, analyze, synthesize, integrate concepts and problem solve to formulate assessment and therapeutic judgments and to be able to distinguish deviations from the norm; 2. sufficient postural and neuromuscular control, sensory function, and coordination to perform appropriate physical examinations using accepted techniques; and accurately, safely and efficiently use equipment and materials during the assessment and treatment of patients; 3. the ability to communicate effectively and sensitively with patients and colleagues, including individuals from different cultural and social backgrounds; this includes, but is not limited to, the ability to establish rapport with patients and communicate judgments and treatment information effectively. 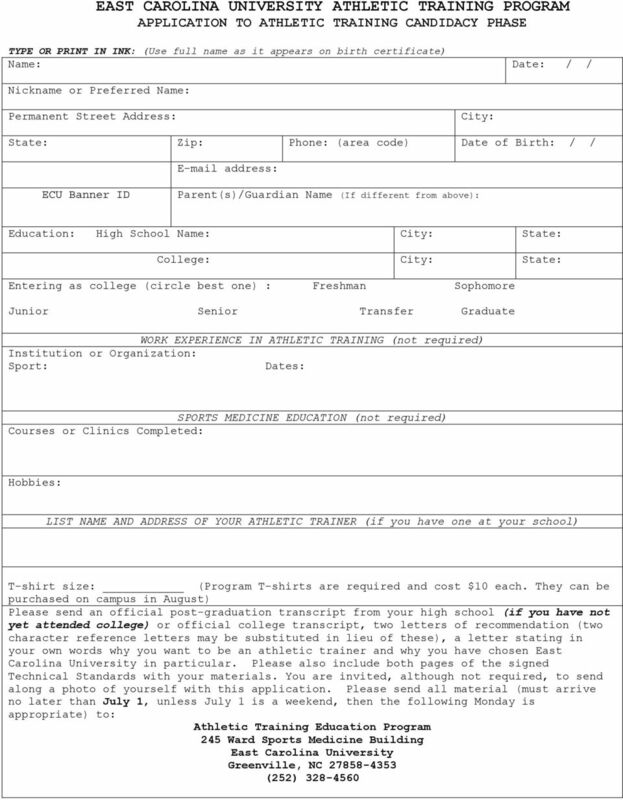 Students must be able to understand and speak the English language at a level consistent with competent professional practice; 4. the ability to record the physical examination results and a treatment plan clearly and accurately; 5. the capacity to maintain composure and continue to function well during periods of high stress; 6. the perseverance, diligence and commitment to complete the athletic training education program as outlined and sequenced; 7. flexibility and the ability to adjust to changing situations and uncertainty in clinical situations; 8. affective skills and appropriate demeanor and rapport that relate to professional education and quality patient care. 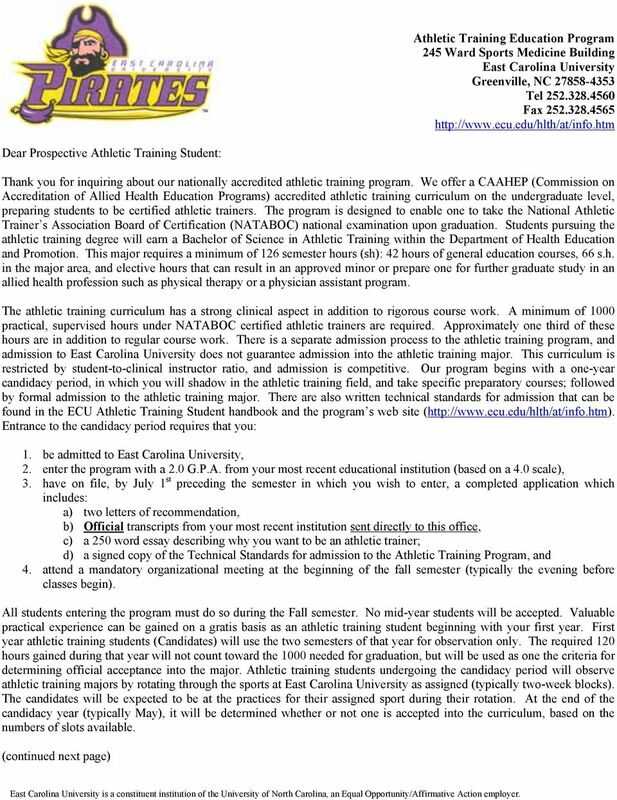 Candidates for selection to the ECU Athletic Training Program will be required to verify they understand and meet these technical standards or that they believe that, with certain accommodations, they can meet the standards. 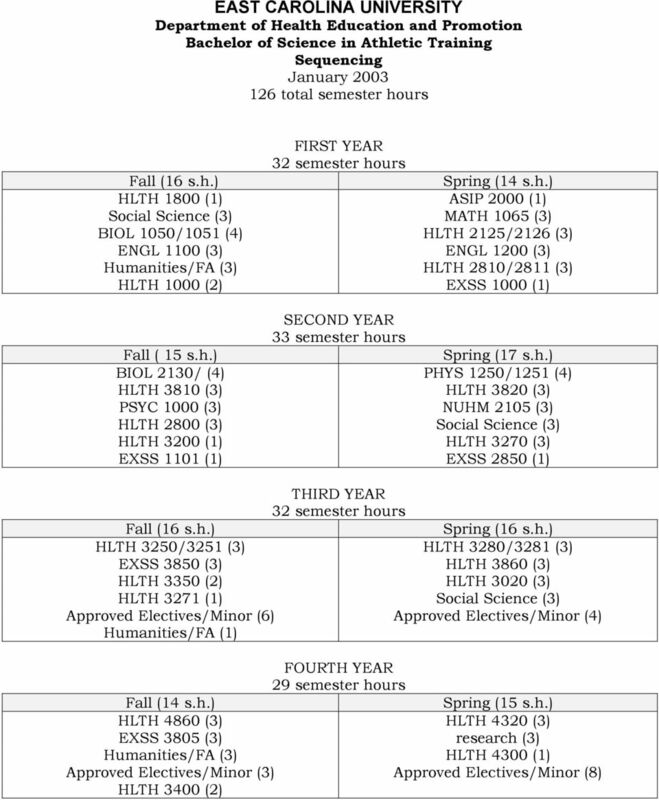 The Disability Support Services Office ( ) will evaluate a student who states he/she could meet the program's technical standards with accommodation and confirm that the stated condition qualifies as a disability under applicable laws. 7 Please note: the area code has changed to 252.